Three senior executives included in Los Angeles Business Journal’s annual list. 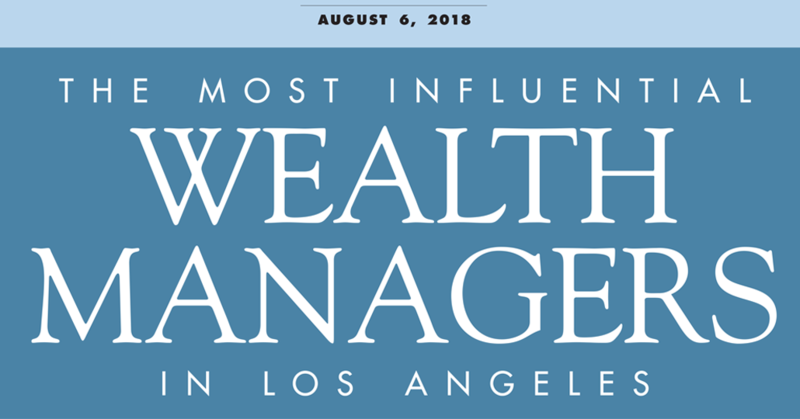 LOS ANGELES – August 16, 2018 – Lido Advisors today announced that three members of its leadership team were included in the Los Angeles Business Journal’s list of “The Most Influential Wealth Managers in Los Angeles.” Lido Advisors has seen significant growth of approximately $1 billion in the past year to reach $2.7 billion in assets under management (AUM). Gregory Kushner founded Lido Advisors in 1999, leads the firm and oversees client relationships, including all aspects of managing their wealth. He has been named a Five Star Wealth Manager Award recipient for eight consecutive years. Jason Ozur, President and Senior Managing Director, joined Lido Advisors in 2009 and has seen it grow from approximately $280 million AUM to now $2.7 billion. He has been the driving force behind expanding Lido Advisors’ development of cutting-edge software and technology, with the goal of delivering superior risk-adjusted returns for client portfolios. Alyssa Weinberger, Senior Managing Director, became the first female partner of the fast-growing firm in 2004. She is skilled at networking and is passionate about curating relationships. In 2005, she created the Annual Family Office Investment Symposium, which brings together like-minded ultra-high net worth families to share best practices. LOS ANGELES BUSINESS JOURNAL MOST INFULENTIAL WEALTH MANAGERS IN LOS ANGELES: Recipients are selected by the Los Angeles Business Journal using their own proprietary selection process. Recipients do not pay a fee to become eligible for the award. The inclusion of a wealth manager on the Most Influential Wealth Managers in Los Angeles list should not be construed as an endorsement of the wealth manager by the Los Angeles Business Journal. Working with a wealth manager who has made the list, or any wealth manager, is no guarantee as to future investment success, nor is there any guarantee that the selected wealth managers will be selected again in the future. The Los Angeles Business Journal is not an advisory firm, and the content of this article should not be considered financial advice. For more information, please visit www.labusinessjournal.com. FIVE STAR WEALTH MANAGER: Five Star Award candidates who satisfied 10 objective eligibility and evaluation criteria including by not limited to: one-year client retention rate, five-year client retention rate, non-institutional discretionary and/or non-discretionary client assets administered, number of client households served and education and professional designations. The inclusion of a wealth manager on the Five Star Wealth Manager list should not be construed as an endorsement of the wealth manager by Five Star Professional. Working with a Five Star Wealth Manager or any wealth manager is no guarantee as to future investment success, nor is there any guarantee that the selected wealth managers will be awarded this accomplishment by Five Star Professional in the future. Five Star Professional is not an advisory firm, and the content of this article should not be considered financial advice. For more information on the Five Star award and the research/selection methodology, go to www.fivestarprofessional.com. Lido Advisors, LLC is an investment advisor registered with the Securities & Exchange Commission. SEC registration does not denote competence, ability, or expertise. As an SEC-registered advisor, we are required to publicly file certain information with the SEC as well as furnish or provide you with the opportunity to obtain information about our principals, employees, products, services, and fee schedules. Please review our Form ADV, which provides this information, at adviserinfo.sec.gov, call us at (310) 278-8232, or mail us at 1875 Century Park East, Suite 950, Los Angeles, CA 90067 for a copy of our Form ADV. The future is uncertain and cannot be predicted. Past performance is not indicative of future performance. These materials are provided for informational and illustrative purposes only and should not be relied upon as the basis of an investment decision. You should not construe this as investment advice or an offer to buy or sell securities. All content herein has been obtained from sources deemed to be reliable, but is subject to unintentional errors, omissions and changes without notice, and is not warranted as to its accuracy or completeness. You should not rely on the information contained herein, and should rely solely on, and carefully read, the appropriate offering and related subscription materials relating to any specific investment before making a decision to invest. Not all investments are suitable for all clients. Investing carries a risk of loss, including the complete loss of principal. Different types of investments involve varying degrees of risk and there can be no assurance that any specific investment will be profitable or suitable for your financial situation or risk tolerance. Any references to projected or future expected returns or risk are not guarantees, promises, or assurances that these outcomes will be achieved. Before investing, you should seek financial advice regarding the appropriateness and suitability of the contemplated investment as not all investments are suitable for all investors. We do not provide legal or tax advice. Any investment has tax and legal consequences. You should consult with a licensed professional prior to making any investment. Lido specifically disclaims any and all liability arising from the information or illustrations presented in these materials and is not responsible for the consequences of any decisions or actions taken as a result. Please consult with your advisor before making any investment decision.